WHY choose Boutique Hotel Seven Days? When I book a hotel, location becomes my top most priority. 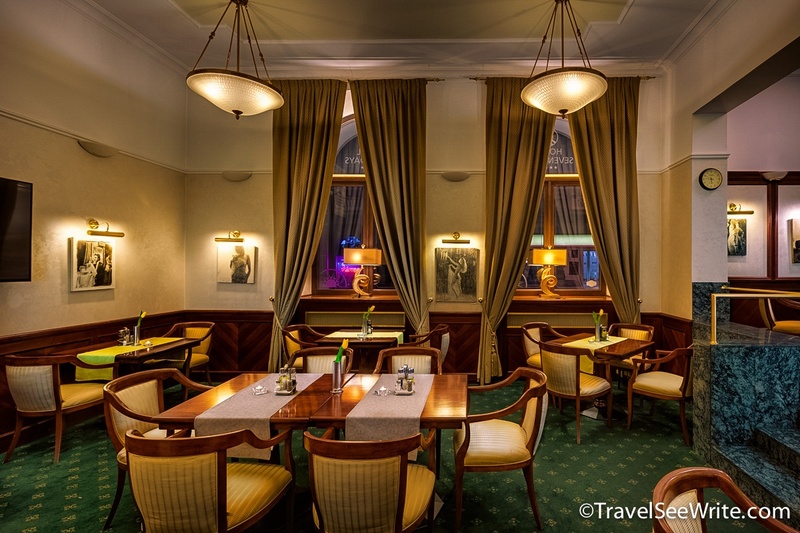 Located in Nove Mesto, the Boutique Hotel Seven Days is 160 meters from the National Museum, 643 meters from Wenceslas Square, less than two kilometers away from the Town Center and Old Town Square and less than three kilometers from the Charles Bridge. 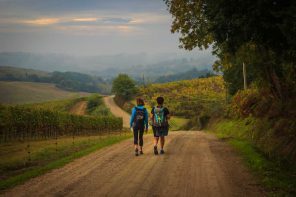 Everything is within a walking distance from the Hotel and if you don’t feel like walking, Tram, Train and Bus Stations are just around the corner. There are 24-hour open convenience stores as soon as you step out of the hotel. As I walked into the hotel, I was transported to an era of the classic avant-garde medieval period. The Hotel is a great example of how to weave a remarkable history and architecture into a luxury accommodation that doesn’t intimidate you. The intricate white interiors made me fall in love with the hotel at the first sight. And, that attraction hasn’t faded even after two months of returning from Prague. The cheerful staff ensured I had a pleasant day and stay. While the hotel was lavish from inside, the view from my room was average. But I have no complaints since I love to spend more time being a part of the view than ogling it from my room window. I felt extremely lucky to be staying at a four-star heritage property built in a neo-renaissance residential style in 1888. 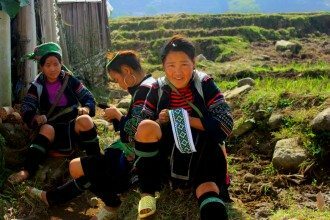 Until I experienced it first hand, I had no clue that the Boutique Hotel Seven Days is distinguished as a United Nations Educational, Scientific and Cultural Organization World Heritage Site. The hotel has rave reviews on booking sites. There is hardly any negative review online about the property. All 50 soundproof and smoke-free rooms at the Boutique Hotel Seven Days feature Villa Borghese-style furniture. While the hotel has classy appeal, it is backed up with all modern technologies to make sure guests have a pleasant stay. 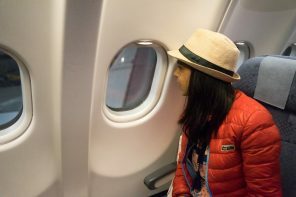 There is free Wi-Fi, 24-hour room service, Digital TV, minibars and hair dryers among many amenities available. There is also a complimentary smartphone for your personal use. Free smartphone for national calls (10+ countries), free data, extensive guide & more. Toiletries were well stacked. Living up to its name, the hotel had a boutique style restaurant, a fitness centre and a bar. Very cozy and very elegantly done. The hotel’s restaurant features an atrium with white arches. The restaurant offers international dishes and wines. A buffet breakfast is served each morning. The Lobby Bar, serving cocktails and other drinks, features a large plasma television where I got an opportunity to catch on the football action and have some good conversations with other guests. Spa and Sauna services are available to give relief to your body and soul. The hotel was kind enough to arrange a cab drop off for me. If you stay for more than three days then cab service is free else there’s a small fee. 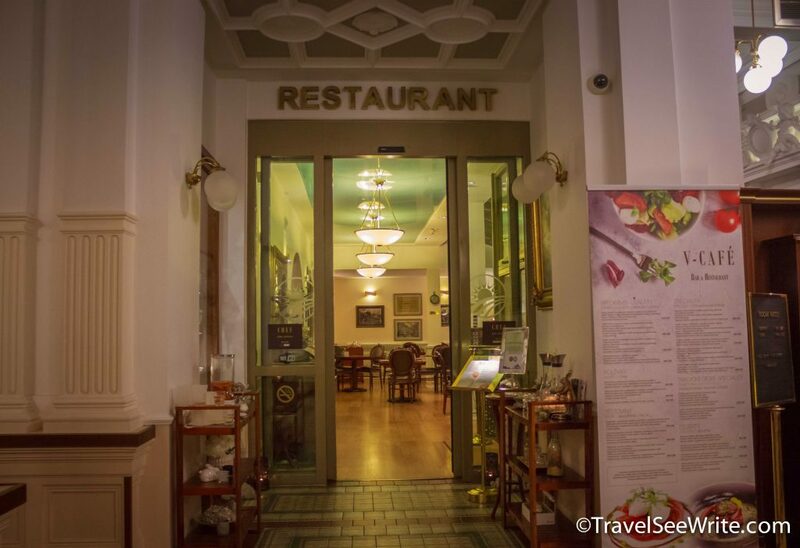 The staff at Boutique Hotel Seven Days was very courteous and answered all my queries patiently at any given time. I would particularly like to mention about the front office. They always welcomed me with a big smile, no matter what time I arrived. 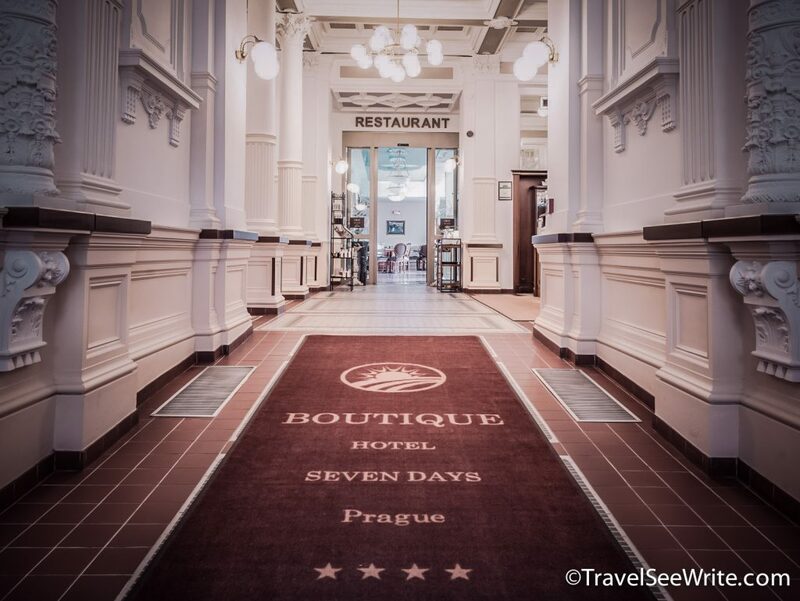 My experience of Staying at Boutique Hotel Seven Days was wonderful and would recommend it to anyone looking for a comfortable and classy experience in Prague. 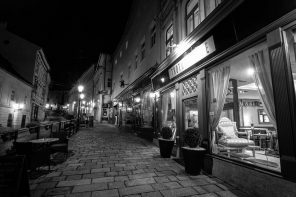 Have you ever stayed at a boutique four-star property in a historic town? If yes, I would love to hear from you. I was hosted by Boutique Hotel Seven Days in October 2017. However, as always, the views are mine and based on my personal experience. The pictures used are either mine or provided by the Hotel. What a beautiful hotel. It is a very well positioned and well appointed establishment. 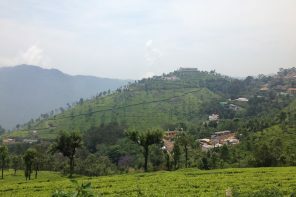 Just looking at your photos makes me want to stay for a days. I have never stayed in a hotel where a smartphone is supplied for use by guests. I am a camper normally, but this “boutique” Hotel would definitely suit me if I was in Prague. historophiles lol yes one should know more about history of this place, though I wanted to visit for architecture more . This is a great stay open and good to know they have a Private sauna & jacuzzi too. 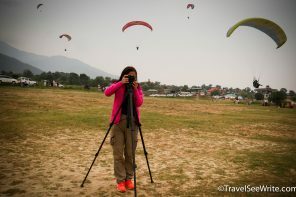 Do they also help you plan tours to nearby landmarks ? This looks like a hotel I’d definitely stay in if in Prague! I’m a huge fan of boutique hotels, especially when they have period features like this one. The rooms look a good size, and it’s nice to know that the cab ride is free after a 3 night stay. One to remember for sure! I love the location of this hotel. You are spot on there. You go to the city to be in the city. 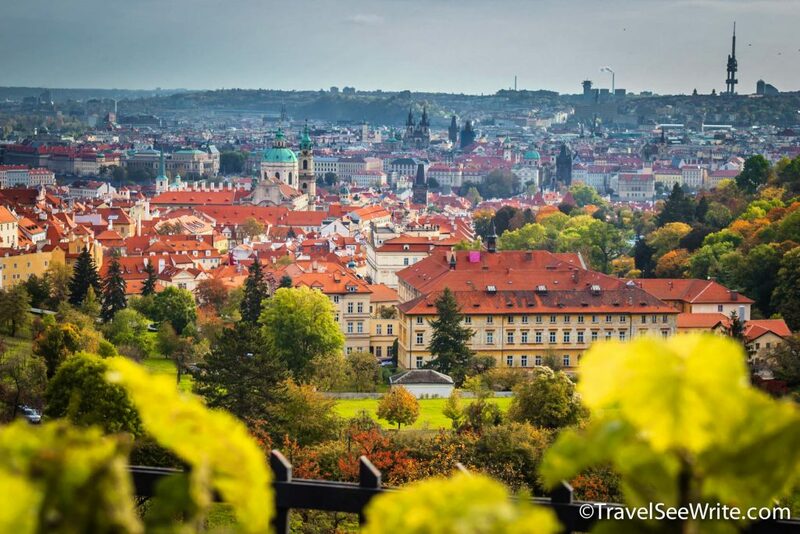 To walk the streets of century old towns and see the sites of Prague. Looks like a fantastic boutique hotel! 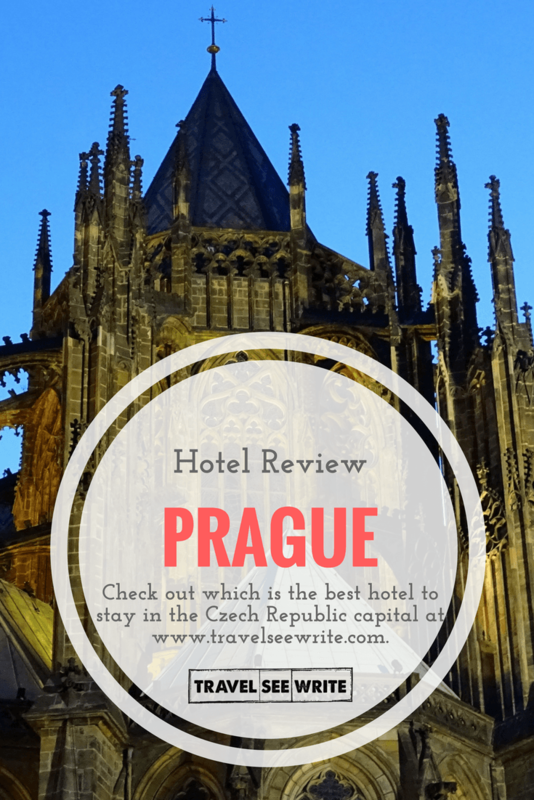 I always tell people when they’re visiting Prague to try and stay at a boutique hotel (we stayed in one which was in the old town and I cannot seem to remember the name now) and this one also looks like a great option! Thanks for sharing your review. 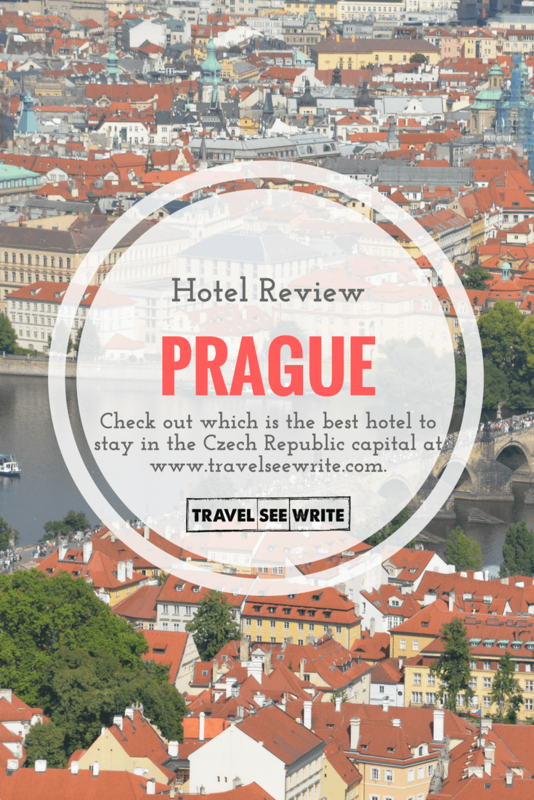 I’ve noticed that Prague has been praised everywhere by travellers recently, and so I would be worried about it being busy with too many tourists. It’s hard to know what accommodation to choose when you have so many options, but this hotel sounds like a good one. 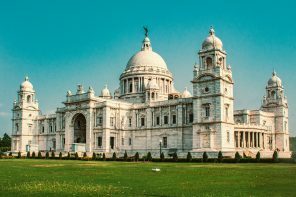 It’s definitely a convenient location with close proximity to museums and other sites, and I like the architecture with the grand hallway as well. Oh my!! Medieval architecture sounds like a dream. Moreover, being in the prime location always adds some bonus points to the hotel. Cheers!! This is a beautiful location. I always admire those businesses who choose to keep the original architecture of the buildings they conduct their business in, such as this hotel. Prague is an extraordinary city and has a lot of architectural wonders, for those passionate, as myself. Even though I have already been to Prague, it is still on my travel list 🙂 Safe travels! You did choose a perfect location. Prague is a big city, but thankfully all the important sights in the old city are within walking distance. The hotel seems really nice…cozy, yet luxurious. The breakfast plate is inviting too. I loved travelling to Prague! This looks like such a luxurious hotel to stay at, and a great place to return to after exploring the city. Free Wi-Fi and a jacuzzi sounds great to me! I love the architecture of this hotel, it is beautiful. The room looks nice and I cannot believe you have a smartphone to use while staying at the hotel. This is a unique feature. I will looking at this hotel to stay at when I go to Prague. I just came back from Prague and I wished I saw this post. The Boutique Hotel Seven Days is in a great location and I love the decoration and style of the room. I am all for concierge service as well. Nice! I just came back from Prague and I wished I saw this post. The Boutique Hotel Seven Days is in a great location and I love the decoration and style of the room. I am all for concierge service as well. Nice post! What a beautiful property! 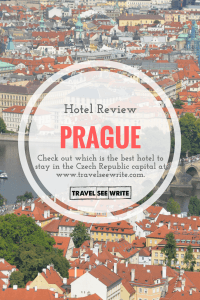 Being so close to everything must have been wonderful–Prague is so walkable, especially if you’re already close to to main sites based on where you’re staying. 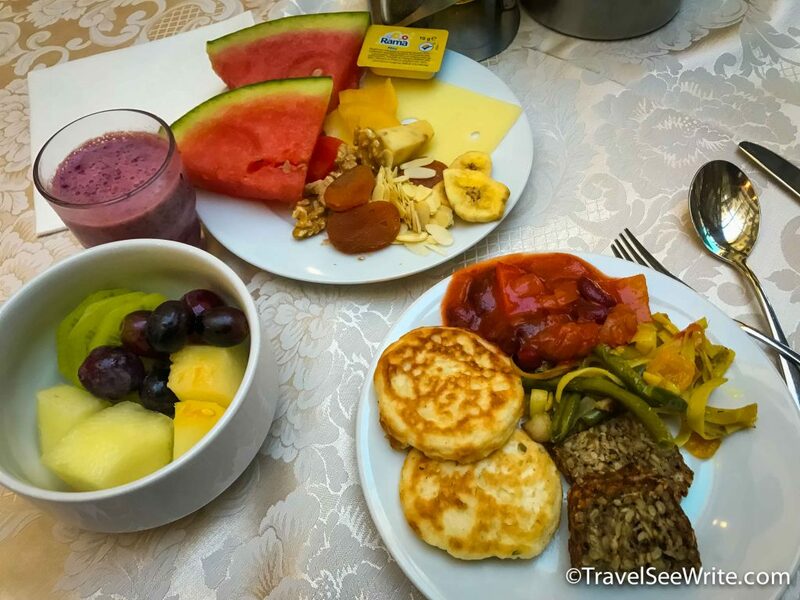 That breakfast looks tasty, too–such a great and easy way to start the day. 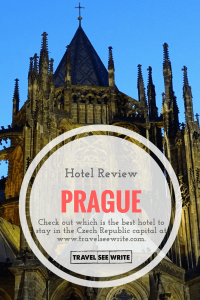 Prague is one of my favourite European cities and I’d love to visit again – and maybe stay here! I didn’t stay here, but actually pretty closeby on my last visit and the location is excellent. I think the breakfast at Hotel Seven Days looks particularly tasty! that hotel looks like it is in a great location! I have never stayed in a 4 star hotel in a historic city like this – at least not on a personal trip, only work trips! I really like the intricate white walls on the interior – looks so luxurious! While the decor of the hotel looks a little dated, I agree that location is always one of my top priorities. I don’t want to spend ages walking or taking public transportation to the things I plan to see and do. It sounds like it’s in a pretty good location, since Prague is definitely a place where you want to be in the heart of it all. The sauna and jacuzzi are also nice amenities to have available. You are so right, choosing the perfect destination for your stay is so damn important. 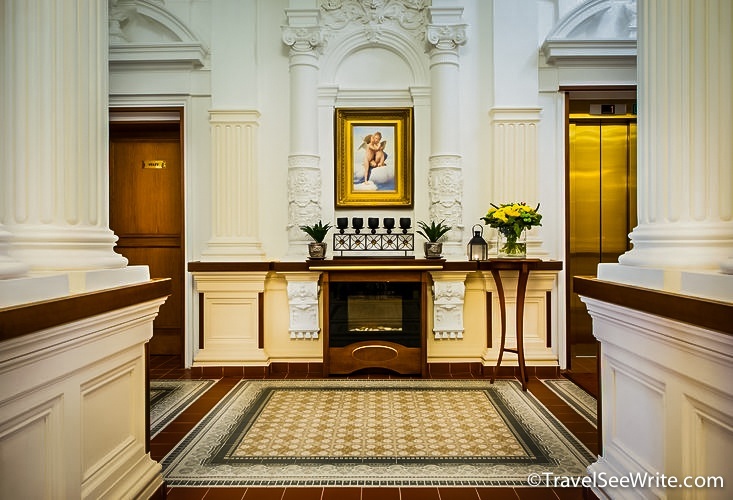 The Boutique hotel seven days seems like a perfect choice. Its architecture is impressive. The rooms look cozy and facilities are apt. Private Sauna and Jacuzzi Wow! Will love to stay here when in Prague.